Technological literacy (TL) as the goal of technology education guides the construction of the technology education curriculum in China. 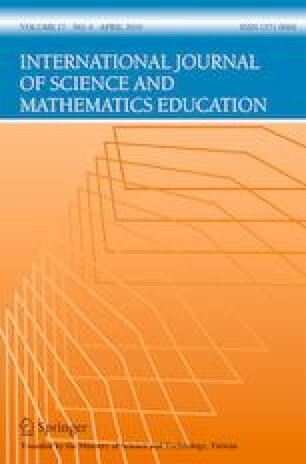 Previous studies investigating technological literacy were limited to K-12 students and had some ambiguities in the definition of technology, theoretical framework, and assessed criterion, and a measurement instrument for use among the Chinese public is lacking. To address this need, the Technological Literacy Scale for the Chinese Public (TLSCP) was developed in this study. Based on DeVore’s infrastructure of technology and seven taxonomies of technologies proposed by the International Technology Education Association, the complexity, contents, and components of technology in the TLSCP were ensured. Combined with previous dimensions proposed by the National Academy of Engineering and the National Research Council and the goal of classification in the Chinese High School General Technological Curriculum Standards, a new classification of technological literacy incorporating technological attitude (TA), technological knowledge (TK), and technological capacity (TC) was developed. Through a 4-point Likert-type scale, Bloom’s Taxonomy of Cognitive Objectives, and Quellmalz Taxonomy, the content of the items in the TLSCP can be evaluated objectively. Data obtained from 1117 people in 31 provinces and municipalities were included in a pilot test investigating the reliability, validity, difficulty and discrimination ability of the TLSCP. The three dimensions of the TLSCP were reliable [TA (α = 0.889), TK (α = 0.693), and TC (α = 0.726)], the content validity was verified by seven experts in the fields of technology education, machinery and materials, and psychological assessment, and the construct validity (λ > 0.5) was good. Moreover, the difficulty of the items (p between 0.35 and 0.67) was appropriate, and item discrimination (rpb between 0.30 and 0.67) was acceptable. The TLSCP was useful for addressing the deficiencies in TL measurement instruments in China and improving the theoretical basis of international TL evaluations. It may be a good template for others who want to develop such an instrument in a different culture. The online version of this article ( https://doi.org/10.1007/s10763-019-09971-6) contains supplementary material, which is available to authorized users. Ross, A. (2019). Gartner: Top 10 data and analytics technology trends for 2019. Retrieval March 10, 2019 from https://www.information-age.com/gartner-data-and-analytics-technology-trends-123479234/.